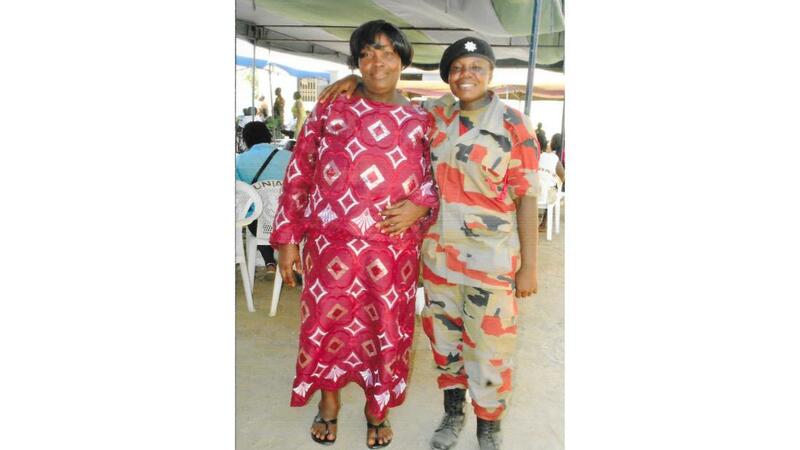 Grace Fosu was about to give birth at a maternity ward in Ghana’s capital Accra when she says she received a phone call from her employer, the Ghana National Fire Service (GNFS), telling her that she was being let go from her job. “I am in labor and you are calling me to tell me this, do you want me to die?” Fosu, 33, recalled telling the metro fire officer. “For the dismissal, I went through hell … I was very, very sad because I wasn’t expecting this,” Fosu told CNN about the September 2014 phone call. 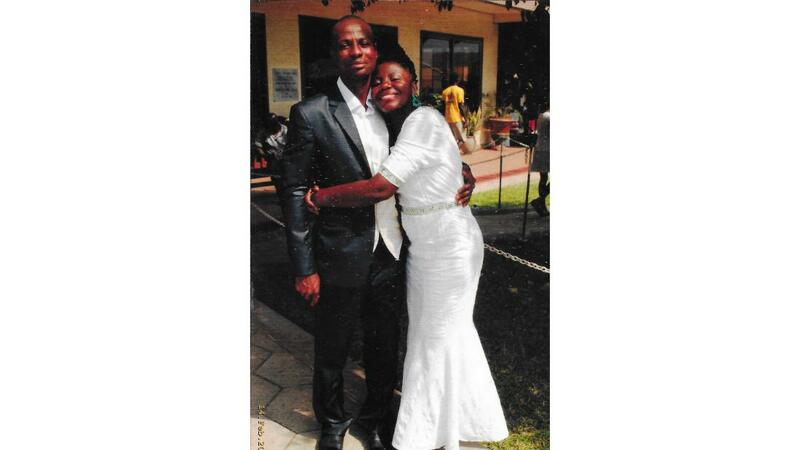 Fosu and her husband, Seidu Abubakari, had married the previous year, after meeting at an athletics tournament for Ghana’s security officials; Fosu ran the sprints for the fire service and Abubakari was a long distance runner for Ghana’s customs agency. Salamat was their first child, and they were looking forward to starting a family together. 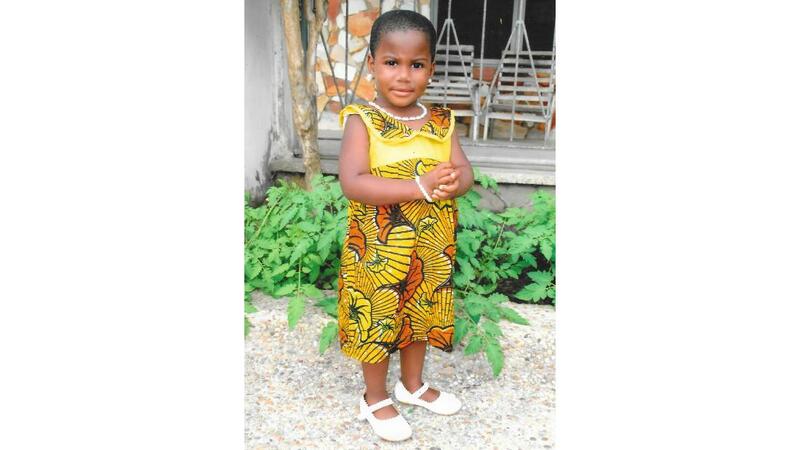 Weeks after their daughter was born, the couple were summoned by the fire service and a formal dismissal letter, in which Fosu’s pregnancy was described as an “offence,” was handed to her husband. “When I opened the letter, I was confused. Then my body started shaking so I tried to control myself and my wife too,” Abubakari, 38, said, adding that fire service officials largely ignored Fosu’s presence in the room. 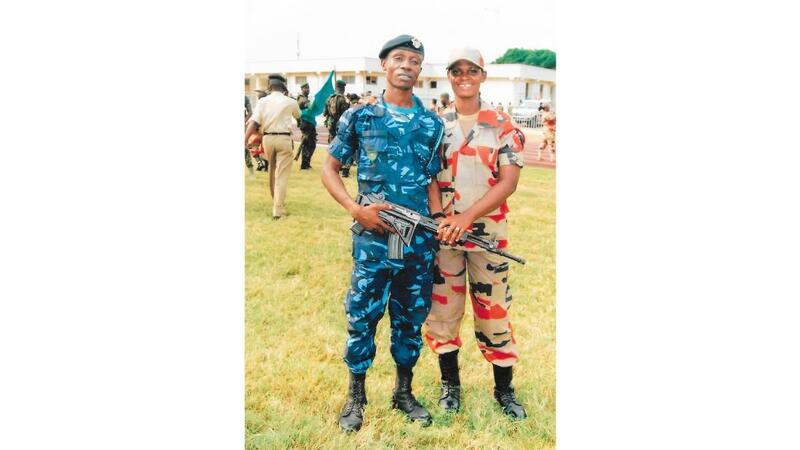 Grace and her husband Seidu Abubakari in their uniforms. The letter stated that Fosu was in violation of “Regulation 33 clause (6) of the Ghana National Fire Service Conditions of Service,” which prohibited female firefighters from becoming pregnant in their first three years of employment. It’s unclear how many women have been affected by the regulation, but Fosu’s experience suggests a selective enforcement of the rule. She says 11 other women in her class of firefighters were also pregnant within the same three-year period, but she was the only one to be kicked out of the service. Okoe said that the fire service “doesn’t have statistics” on all of those dismissed under the clause, and could not explain why Fosu’s peers who became pregnant were allowed to continue working. Fosu says she never filed an official report against the officer — who is still in the service — because the harassment stopped after her husband confronted him. Grace dressed in her full fire service gear. She reported her dismissal to Ghana’s Commission on Human Rights and Administrative Justice (CHRAJ), an independent constitutional body with powers to investigate human rights abuses in the country. “Quite a number of similar cases had come from the uniformed services of Ghana,” CHRAJ commissioner Joseph Whittal told CNN, explaining that similar rules about pregnancy exist in Ghana’s armed forces, police and immigration service. “Because the grounds for dismissal was based on a regulation, the only option was to seek a declaration from the courts invalidating it,” Whittal said. For years, CHRAJ had been waiting for a complainant willing to take such a case to court. Women who had previously reported their dismissals on similar grounds to CHRAJ withdrew because they didn’t want to go through the court process, which can often be cumbersome and drawn out. But Fosu says she was not deterred. In 2017, Fosu and Hammond filed a lawsuit against Ghana’s Fire Service, triggering what would become the country’s first successful gender discrimination case. 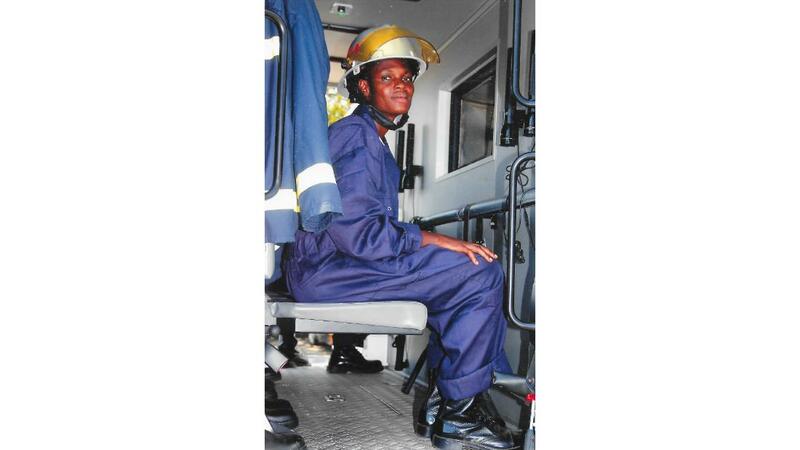 In the Human Rights Division of the Accra High Court, lawyers for the fire service argued that vigorous training during the first three years of employment may “adversely affect the foetus and the would be mothers.” But their reasoning didn’t stand up. Spokesman for the fire service Ellis Okoe told CNN that the service has since scrapped the policy “to reflect the changes of the time,” reducing the prohibition period from three years to one — the first six months of training and six months probation. In theory, Ghanaian women have the constitutional right to equality and freedom from discrimination, but the Fosu and Hammond’s case exposed the reality that sexism is still rife, Sheila Minkah-Premo, a lawyer and women’s rights advocate, says. “[Ghana] has made some strides with regard to women’s rights in some areas but has not done very well in other areas … women’s role in public life is abysmal with attempts to get an affirmative action law in place not gone far,” she said. Only 37 of the 275 members of parliament are women. Still, the country does better than others in guaranteeing paid leave for mothers of infants. Ghanaian women are entitled to at least 12 weeks of paid maternity leave under the country’s Labour Act — the US, by comparison, guarantees nothing. But, Minkah-Premo says, Ghanaian employers find ways around the rules. “All the pressure was on my husband because the support I was giving him was no longer coming… [and] all the pressure of paying water bills, electricity bills, school fees, all [of these were] on him,” Hammond told CNN. The internal struggle and financial strain that accompanied her dismissal has had knock-on effects on Fosu’s family too. “I’m praying that this job comes back to my hands. I have a lot to give in my future,” Fosu said.